Ben Bernanke says in a new book that it took 'moral courage' to steer America through the financial crisis. 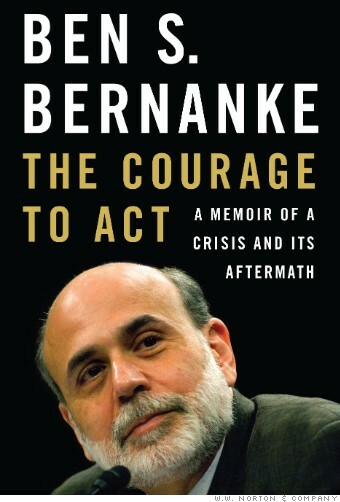 The former Federal Reserve chairman's memoir, The Courage to Act., will be in book stores in October, publisher W.W. Norton & Company announced Wednesday. Bernanke, who served as Fed chair from 2006 to 2014, will offer an inside look at the Fed during the financial crisis and the economy's recession. It could be a timely point of reflection since many economists suspect the Fed, now led by Janet Yellen, may raise interest rates in September for the first time in almost a decade. "When the economic well-being of their nation demanded a strong and creative response, my colleagues at the Federal Reserve...mustered the moral courage to do what was necessary," Bernanke said in a statement. In December 2008, Bernanke started America's stimulus program, which was widely criticized by Republicans. During the stimulus program, which ended last October, stocks enjoyed a bull market and the unemployment rate dropped from as high as 10% to 5.5%. In March, Europe began a similar stimulus program. Bernanke has already stepped up his salesman game for the book. He started tweeting recently, garnering over 31,000 followers after eight tweets. The former Princeton professor also began blogging on the economy for the Brookings Institution. Topics range from a three-part series on why interest rates are low to -- don't hit snooze yet -- Germany's trade surplus. And you can bet Bernanke cashed in. His predecessor, Alan Greenspan, received $8 million from Penguin for his memoir. 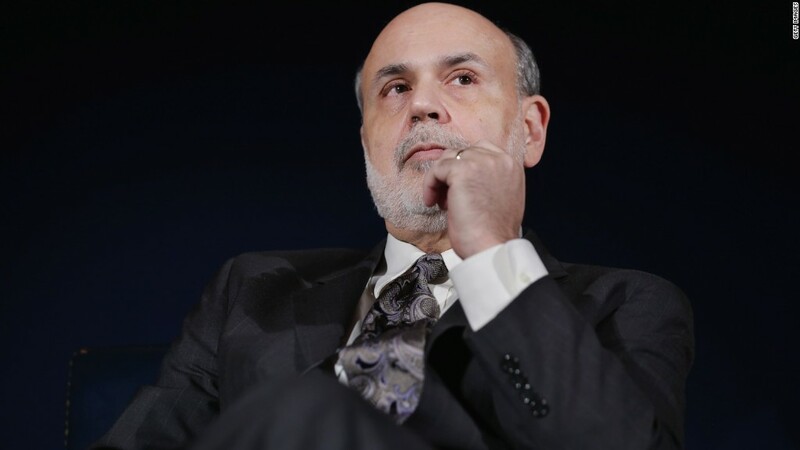 Bernanke already fetches over $200,000 for some of his speeches and public appearances. A Norton spokesperson declined to say how much Bernanke was paid.